North Korea fired yet another Ballistic missile, initially claimed locally by Yonhap and later confirmed by US intelligence. Seoul’s Joint Chief of Staff (JCS) said that the launch was conducted from the area near the North Korean city of Wonsan that is located on the country’s east coast. The military added that the projectile had covered some 450 kilometers (280 miles) before falling into the Sea of Japan. 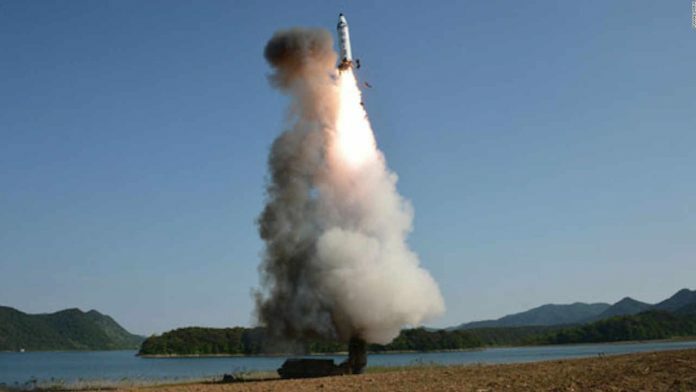 “The missile, which was fired from the eastern coast of North Korea, has fallen in the exclusive economic zone of Japan. It is necessary to ensure the security of Japanese ships and planes,” Suga said at a press conference on Monday. South Korea is ordering a meeting of the country’s national security council. Meanwhile, Trump was made aware of the latest development. Over the weekend, reports surfaced that the US sent another aircraft carrier, Nimitz, to the Asia-Pacific region, to join two other American strike groups.